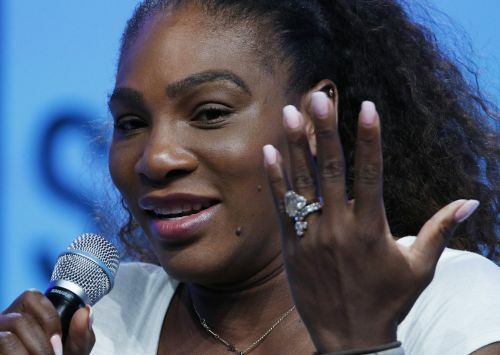 LAS VEGAS (AP) — Serena Williams talked about her fashion business and her family, but not tennis fouls during a Friday appearance before a business trade group in Las Vegas. Williams received three code violations and was penalized a point and one game. She was later fined $17,000. Tennis icon Billie Jean King said she believes tennis applies a double standard to women compared with men, and a similar outburst by a male player would have drawn no repercussions. In Croatia, U.S. Davis Cup team captain Jim Courier said he thought the gender issue had been polarized and, in some ways, politicized. "It's been quite the week," O'Hagan said before steering the conversation away from controversy. "It isn't the first time you have had to deal with unfair judgment against you, and yet you have this amazing ability to come back with such courage and grace," she said.